Okay, so I DO NOT have a green thumb. It is a known fact in my family that when I try to grow things, they die. I am basically a hopelessly inept gardener. (FYI…I’m good with things that ASK for food and water, like pets and kids. So no need to call Child Services… I’m just a hazard to the plant community.) But I really WANT to grow a garden. 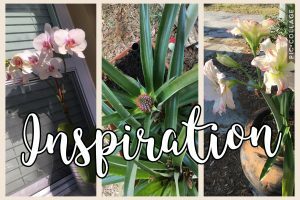 I’ve tried many times in my adult life, but I live in an area of Florida with very sandy soil, and it’s summer here 11 months out of the year, so gardening is not simple. These three plants are all still alive… and one is even almost edible! Despite my repeated lack of success, I still have a strong desire to cultivate my own food. (I’m hippy dippy that way… we have solar panels and I’d love to have chickens, too! Although the urban coyotes make me hesitant on that one.) I blame this feeling on these three plants. Somehow, they are alive and flowering and beautiful, and the pineapple may even be edible someday. Plus, these plants have been around me for years! So maybe the curse has worn off… maybe you can teach an old plant murderer new tricks! 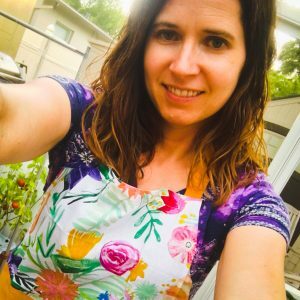 So this year, I am starting another garden… And it is my biggest yet. 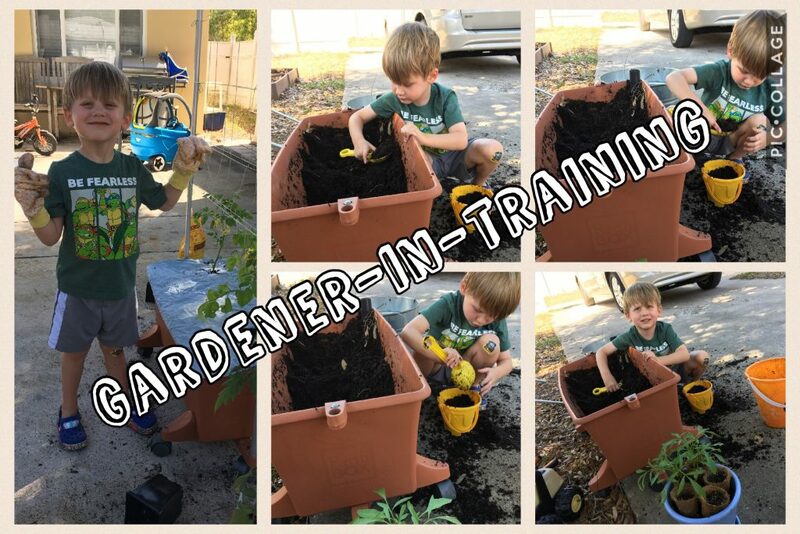 My son is probably the biggest driving force behind my desire to grow fruits and veggies. I want him to know where real food comes from, and to feel proud and capable when the seeds he planted sprout and grow into food we can then eat. 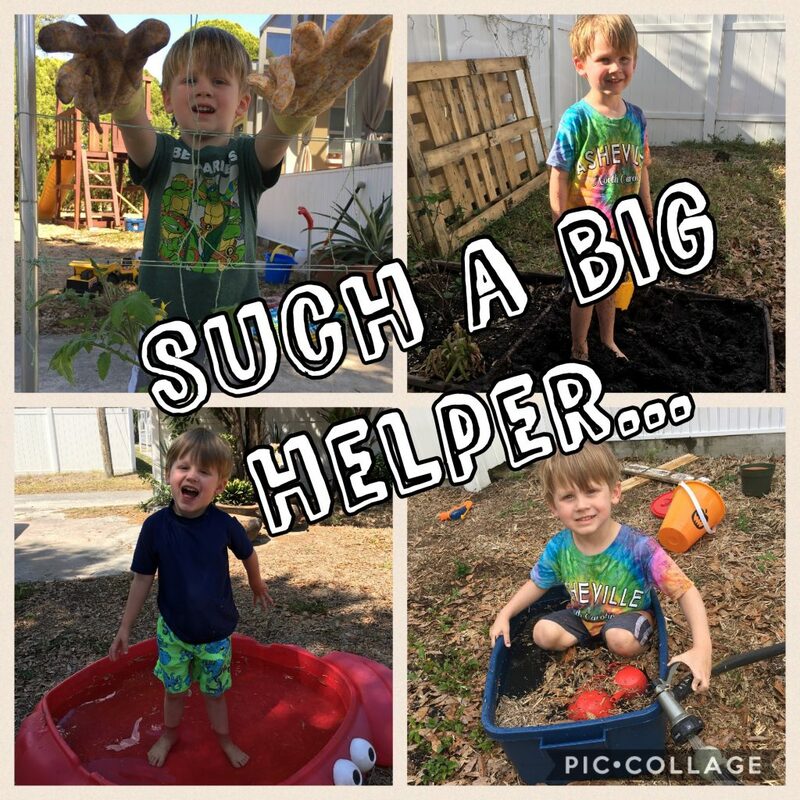 So I had him help me plant (see staged pictures above). Looks wonderful, right? That’s what I thought planting with a child would look like. I’ll keep you posted on what grows at our homestead in our 2017 Spring Garden. Please send green, growing, pest-free vibes this way!